Our next sewing week is April 15-18, 6:00-8:30 pm in room 109. There are lots of jobs for everyone, even if you don’t sew! We will have services at 8:30am, 9:45am, & 11am. Easter will be here before you know it! Our annual Easter Egg Hunt will be April 20th at 10:00 am in Forest Park. Egg Hunts will be available for kids 5th grade and younger. We need LOTS of candy to put in the eggs. Tubs for candy are in the foyer. Please try to stay away from suckers and chocolate since they can be difficult to put in the eggs and melt if it is a hot day. If you can help with the hunt, contact Jon Rhoades (jrhoades@fccbrazil.org) or call the church office (812-446-2214). We will be filling Easter eggs on Sunday, April 14th. Tables will be put up in the lobby for anyone who wants to stop and help. With many hands, we will be able to fill the eggs fast! We would greatly appreciate your service! Save the date for the Ladies Tea, April 25. Doors open at 6:00, and dinner is served at 6:30. Tickets are just $5 and go on sale beginning Sunday. Our special guest is Tracy Murray of ReclycloCraftz, a mission organization based in Zambia. Catering will be provided by Honeysuckle Hill Beestro. Gather your girlfriends and get ready for a fun night of fellowship! We will be meeting at 7pm in the worship center. We’re having a Spring Work Day on May 4 beginning at 8 am. We will lay weed barrier, spread mulch, and do other cleaning up around the yard and landscaping. Bring rakes, shovels, and small tractors with front loaders and help spruce up our grounds! Graduation Sunday is scheduled for May 19. 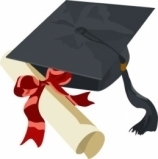 Information on how to recognize your high school or college graduate will be out soon. Student Ministry is in need of meals for Sunday nights at Worship Uncoiled. It’s a great opportunity for small groups and Adult Bible Fellowship classes. If you can help, contact Jennifer Branam at 812-249-7990. Worship Uncoiled, for 6-12 grades, will kick off on August 12! Open Gym starts at 5:00, then WU begins at 6:00 with a meal, games, and worship. Join us! Nursery and Preschool Helpers Needed! 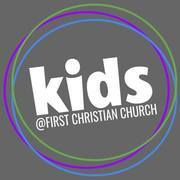 There are openings during Sunday School and Second Service hours for nursery and preschool helpers in Weekidz. Come play and give attention to our cutest members! Please pray and come see Brenda McNabb on Sundays or email her (bmcnabb@fccbrazil.org) for more information. We have only 7 kids waiting for Kids Hope mentors! If you have an hour a week during the school year to mentor a child at Forest Park, contact Mercedes at mhall@fccbrazil.org or see her in the preschool wing on Sundays. The Student Ministry Yard Sale has been set for June 6-8. That means it’s time for spring cleaning! Donations can be brought to the church during business hours during the week, or you can call CJ (812-446-2214) for special arrangements. VBS will be here before you know it! Contact Jon if you're interested in helping. Do you want to improve your Christian Leadership abilities? As part of our Strategic Plan we are promoting a Mentor Leadership Course in partnership with McKinley Hill Church of Christ. It will meet for 3 hours on 5 Saturday mornings: 1/26, 3/9, 4/27, 8/17 and 10/26. The only cost is buying the book, The Mentor Leader by Tony Dungy. To sign up for the course, see Chris on Sunday, or email him at cgregg@fccbrazil.org. We are taking a group Holy Land Tour, March 23-April 1, 2020 with Educational Opportunity Tours (www.eo.travel). The cost will be $3,400 including airfare. Chris Gregg will host an informational meeting on Tuesday, February 12, at 7 pm in room 104, for anyone interested in learning more about the trip. 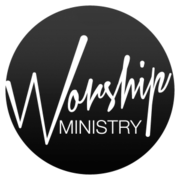 The Worship Ministry has a few opportunities at this time. We are looking for a drummer, a female vocalist (soprano), and also a couple of people willing to run the lighting during services. If you are interested in finding out more information, please contact Jeannie Price at jprice@fccbrazil.org. Our Blessing Box is located at the back entrance of FCC. The goal is simple: “Take what you need, give what you can, above all be blessed!” We would like to encourage our church family to keep our blessing box full for our neighbors. While it is cold outside, no jars or other things that might freeze and burst should be placed in the box. Also, new items only please. Our Communion Ministry is looking for more volunteers. If interested, call Phyllis Herb at 812-877-2624 and she would be glad to discuss and explain this vital ministry. *Note: get the longest expiration date on all items! Please bring your donation to the Adult Wing by May 12 and place in the collection tub for HIS EYES. You can also make a “cash” donation to purchase the items on this list. If you have questions please contact Terry Scott, 812-878-8056. Open Enrollment for Cornerstone for the 2019-20 school year is going on now! Email office@ccabrazil.org for more information on how to enroll.